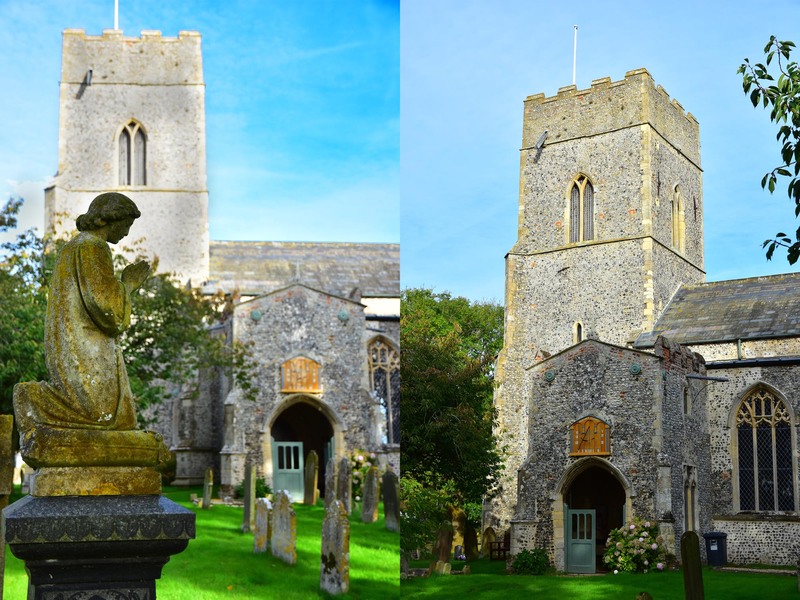 All Saints is a typical Norfolk parish church; built of flint in the Middle Ages, with a square west-end tower containing six bells, a nave with two aisles, a chancel, a porch with a parvise (room above). It was largely built in the late fourteenth century although the tower may be older, while the chancel and porch are fifteenth century. It has a rood screen between the nave and chancel with sixteen royal saints painted on in the fifteenth century; the arcades have faint medieval paintings discovered in the 1840s underneath the whitewash. The Victorian seating arrangement replaced earlier box pews around a pulpit in the middle of the nave. All saints Church in Catfield has a Sunday service at 9.30am. This may be a service of Holy Communion or Morning Worship, please check the calendar for more details.